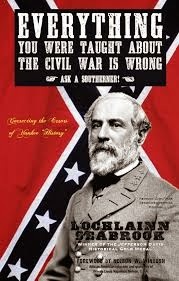 Interview with Lochlainn Seabrook, author of Everything You Were Taught About the Civil War is Wrong, Ask a Southerner! Today we are interviewing Lochlainn Seabrook, author of the American history book Everything You Were Taught About the Civil War is Wrong, Ask a Southerner! Lincoln's War from the South's perspective. Anyone (teens and up) interested in authentic American history. One cannot have a full understanding of the American Civil War without a thorough knowledge of how the South experienced and perceived the conflict. Unfortunately, nearly all books on this subject are written from the North's point of view, which makes them hopelessly incomplete and historically inaccurate. My book helps fill this gap. A revealing, in-depth, provocative book on the true history of American slavery, again from the Southern, rather than the Northern, viewpoint.